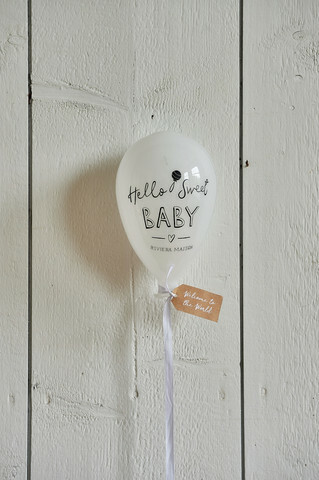 Welcome a new baby into the world with this sweet heart-shaped wall decoration. Hang the glass heart in the nursery, or above the playpen in the living room so it's on display throughout the day. Or, give it as a newborn baby gift. Also available in other colours and designs.